An Iranian Navy commander called US actions in the Persian Gulf “unprofessional,” adding that there could be “irreversible consequences.” He said the US vessel changed course towards Iranian warships in the Strait of Hormuz on March 4. “In an unprofessional move and in a maneuver accompanied by warnings, it approached our vessels at a distance of 550 meters,” Lieutenant Commander Mahdi Hashemi, in command of Zolfaqar battle flotilla, said, as cited by Tasnim news agency. “Such provocations can have irreversible consequences,” Hashemi said, according to the Tehran Times. Iranian President Hassan Rouhani also issued a warning on Wednesday, without mentioning any specific incident, though. “If Iran's ignorant enemies think about invading Iran they should know that our armed forces are much stronger than 1980 when Iraq attacked,” he said in a speech broadcast live on state TV, as cited by Reuters. 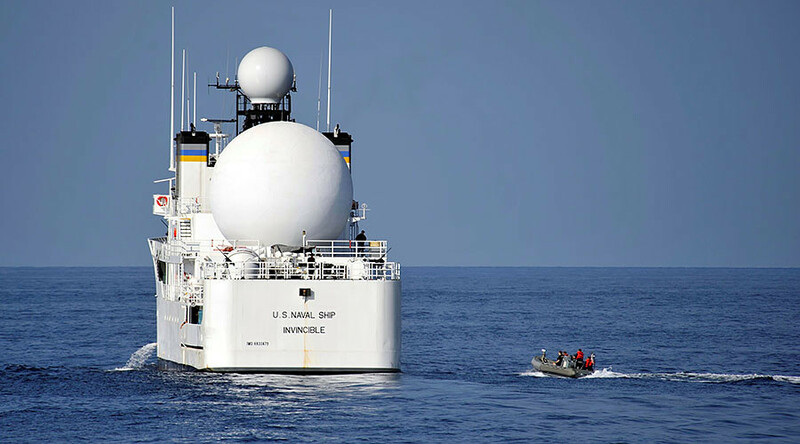 On Monday, a US official told Reuters that it was the Iranian Revolutionary Guard which came too close to the tracking vessel USNS Invincible. “We actually had seen quite an improvement in Iran's behavior until recently,” he said. In January, a US destroyer fired three warning shots at four Iranian fast-attack vessels near the Strait following their refusal to slow down. 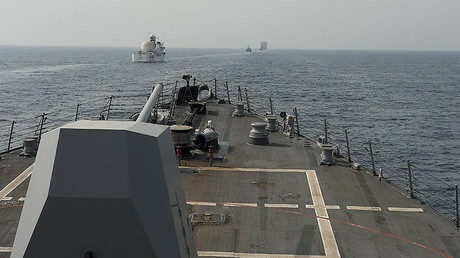 Two months earlier, the Pentagon claimed that a small Iranian ship pointed a gun at a US Navy helicopter in the Strait of Hormuz, in international waters.